Sempé - Niche Import Co.
Sempé Armagnac is produced from carefully selected white wine grape varietals, grown in the best vineyards in Armagnac. It is distilled only once through a copper alambic, then aged in handcrafted casks made from the best french oak. These casks are stored in cellars where the Armagnac will slowly develop its body, bouquet, and finesse under the careful eye of the Cellar Master. This blend is made from specially selected Armagnacs that have been aged for at least 15 years. 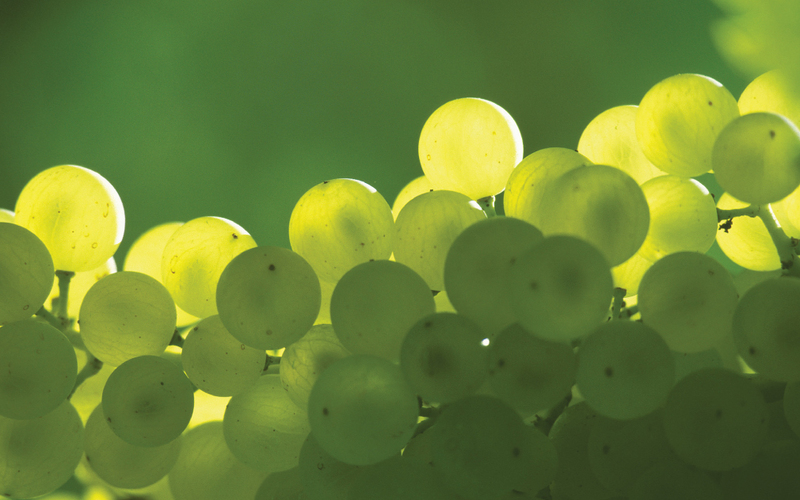 This exclusive blend has a smooth finish and an attractive gold color, with superb texture and bouquet. The Armagnac included in this blend comes from the Bas-Armagnac and Ténarèze regions. 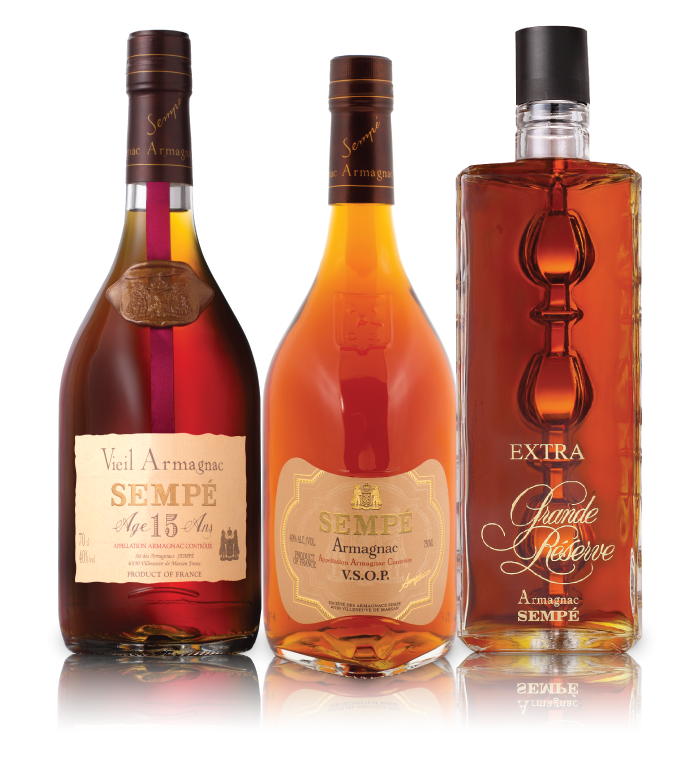 Sempé VSOP is aged much longer than other VSOP Armagnacs. Distilled once in a copper pot still to deliver its breadth of quality flavors, it contains a strong concentration of prunes, plums, and violets on the nose. This blend contains Armagnacs as old as 30 years, with the youngest being 15 years. The Grande Reserve has an ample and fruity nose with woody notes on the palate, growing slowly spicy on the finish. 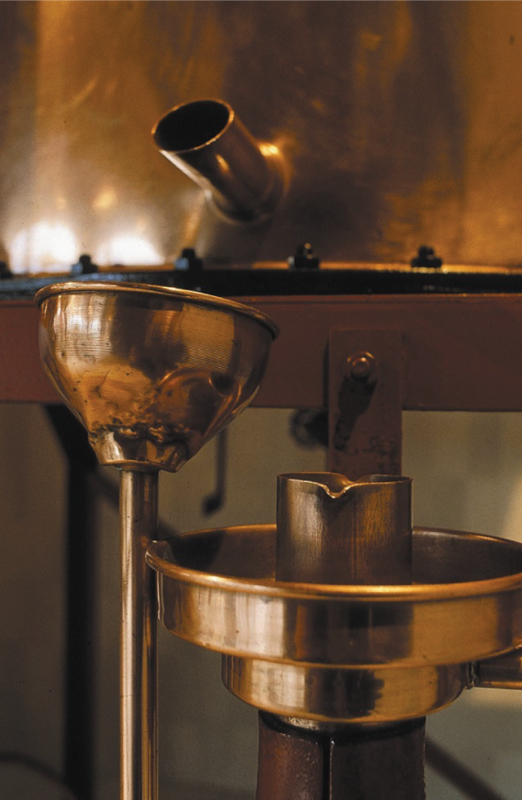 Sempé Armagnac is distilled only once through a copper alambic, which allows Armagnac to maximize its natural aromas. 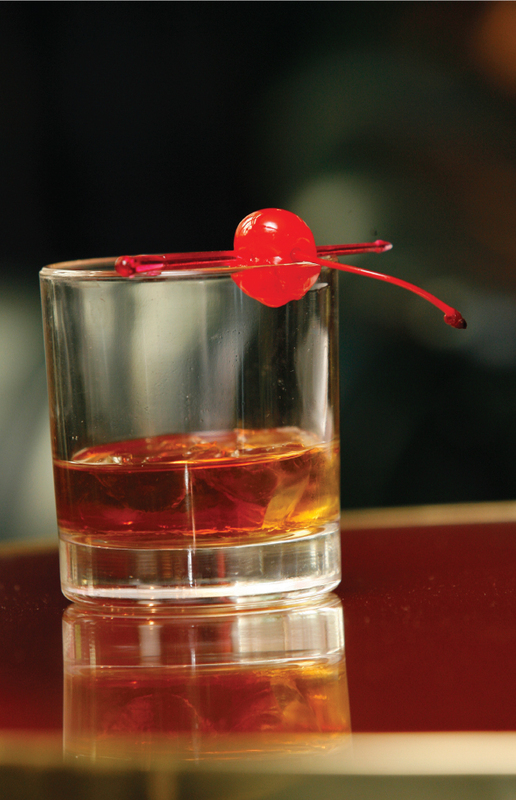 Armagnac is usually consumed in a glass at room temperature, 15- 20 minutes after being served. Contact us to find a product in a liquor store near you.